1970 UK 2nd Ed. 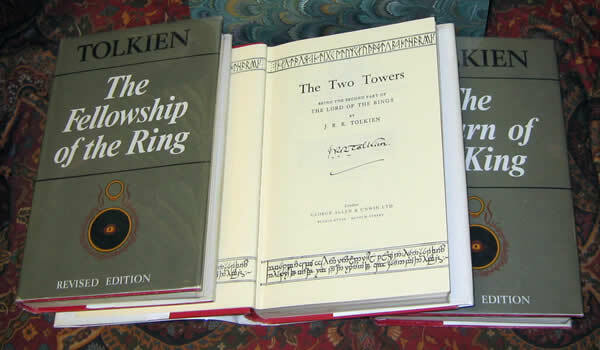 Lord of the Rings - The Two Towers signed by Tolkien - $5,500.00 The Revised (2nd) Edition. 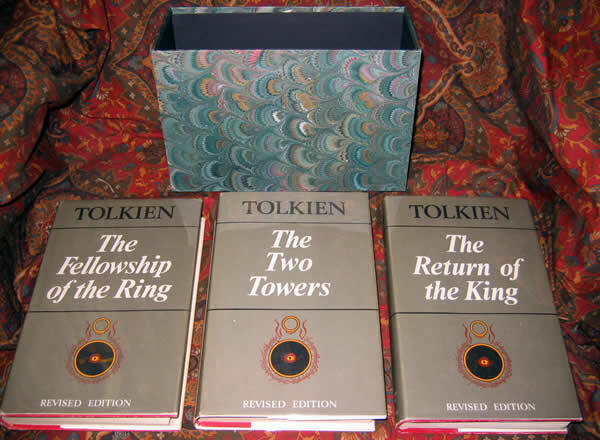 Vol I: The Fellowship of the Ring is a Fifth impression published in 1970. 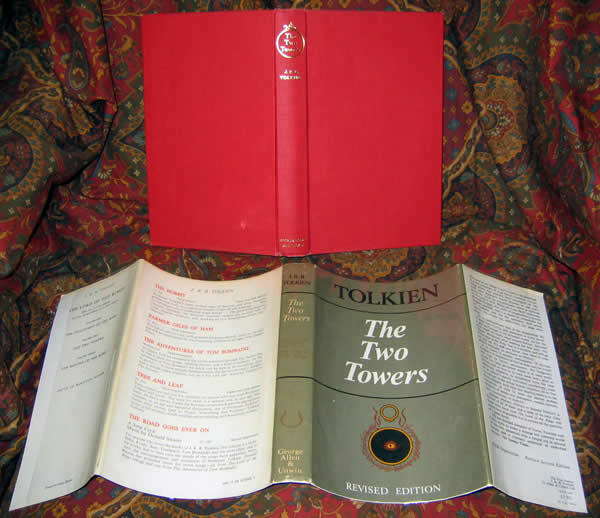 Vol II: The Two Towers is a Fifth impression published in 1970, and is signed on the title page by the author. 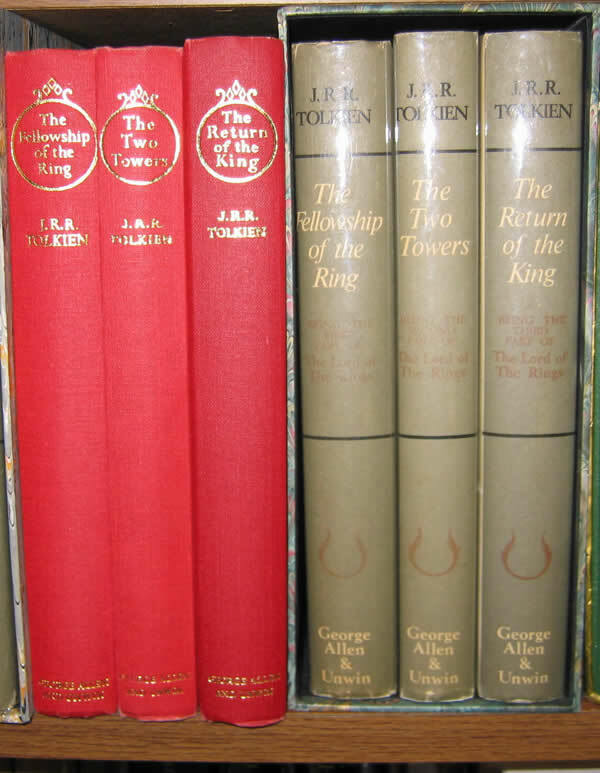 Vol III: The Return of the King is a Fifth impression, published in 1970. 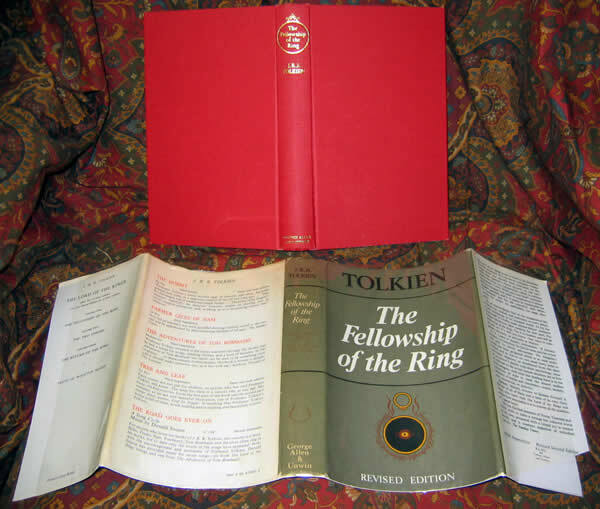 Vol I: The Fellowship of the Ring is a Fifth impression published in 1970. 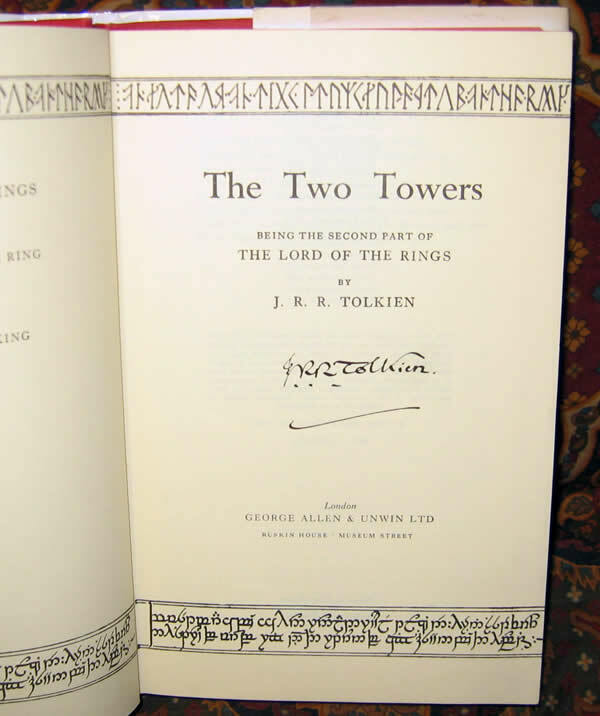 Vol II: The Two Towers is a Fifth impression published in 1970, and is signed on the title page by the author. Vol III: The Return of the King is a Fifth impression, published in 1970. All three volumes are in Very Good Plus condition with the top edge stained red, clean and bright textblock. Original maps are in still in place. The dj's show beautifully without any chips or loss. Slightly tanned white lettering to the spines, but still clean and legible. 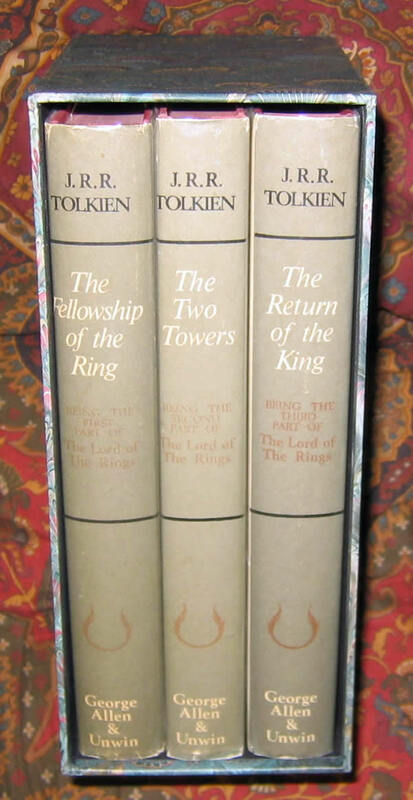 The Fellowship dustjacket is the only one clipped, and it still shows the full price and publishers info. A rare opportunity for this significant and collectable set of books.